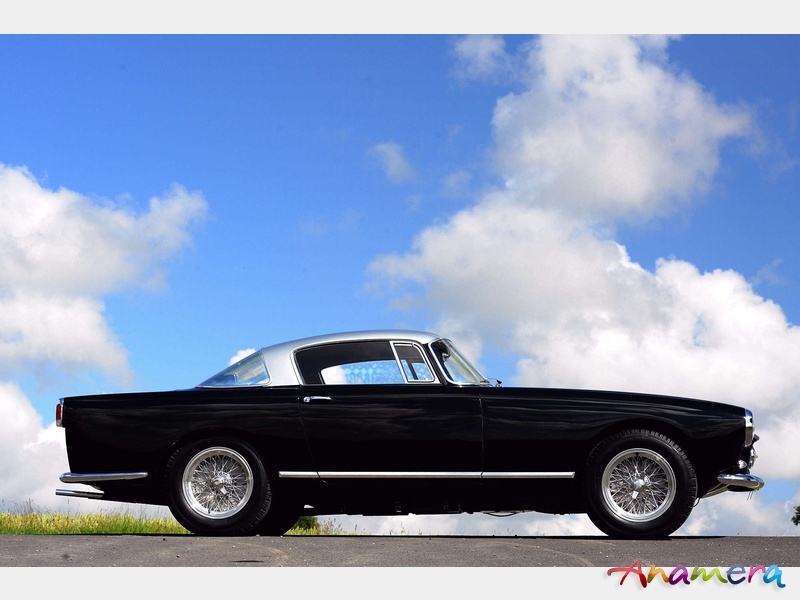 selective Ferrari Oweners Club Concours at Meadow Brook/USA. 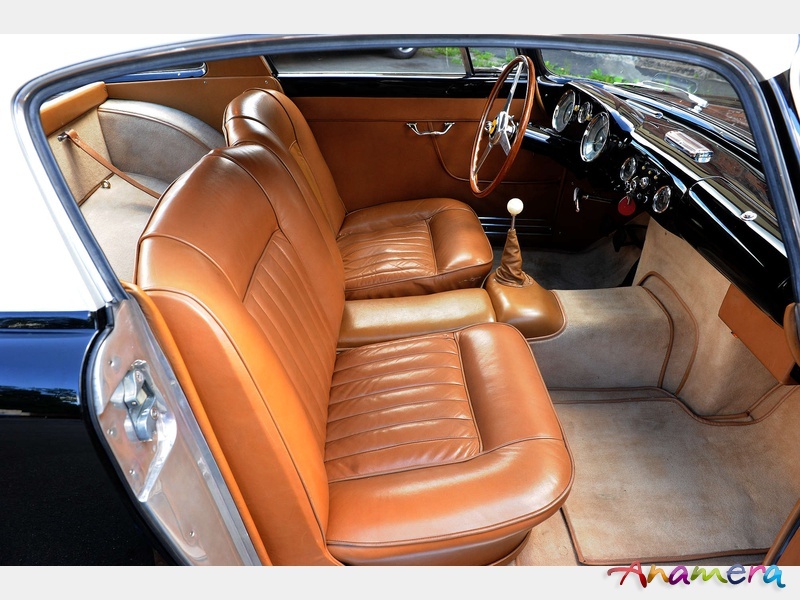 In this time it was offered for sale with only 46 000 mls on the speedo. 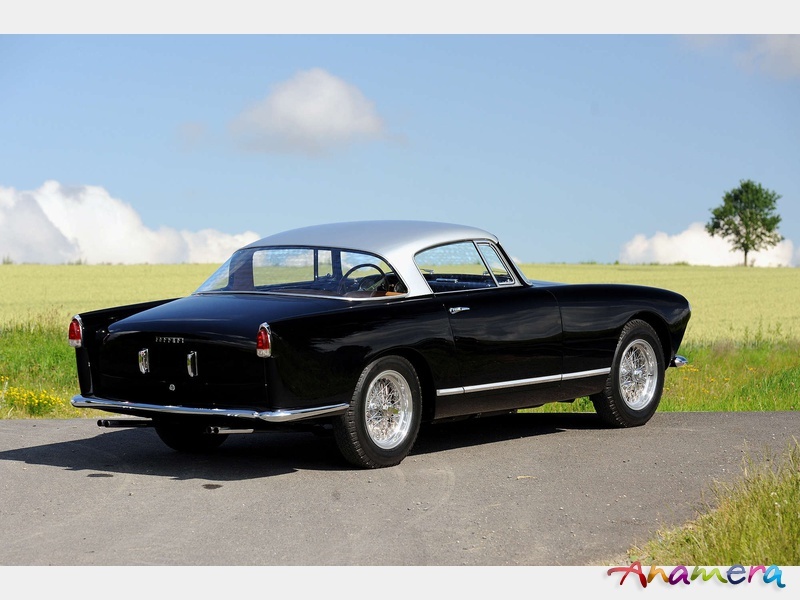 While it has been part of the German private Ferrari collection it joined as well a couple of Concours d'Elegance with a 1st OA at the Italia at Zandvoort/Netherlands and the FOC UK Concours Silverstone/England with a 1st place for the oversea cars. 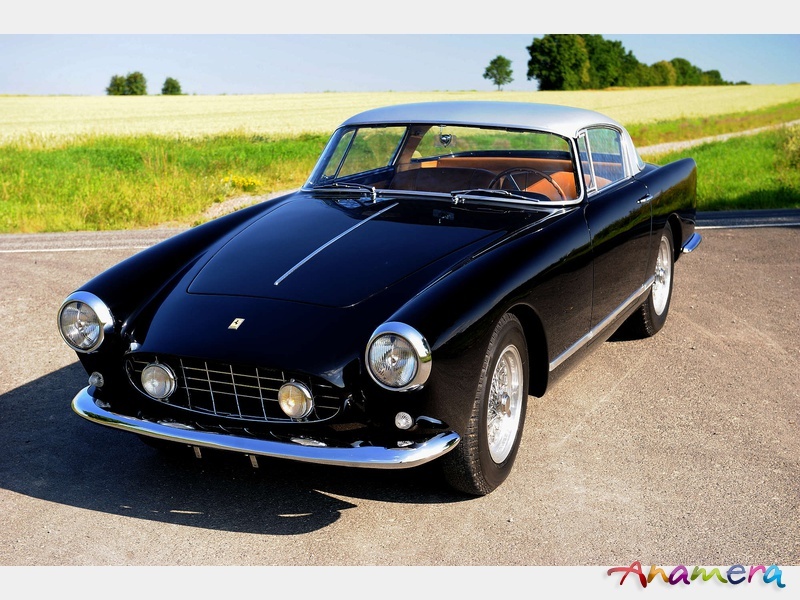 In the nineties it has been serviced and detailed at the famous workshop of the Ferrari specialist of Terry Hoyle in England. After a couple of years in Germany we had the pleasure to sell it into a small but very sophisticated Ferrari collection in the Netherlands in 2001. 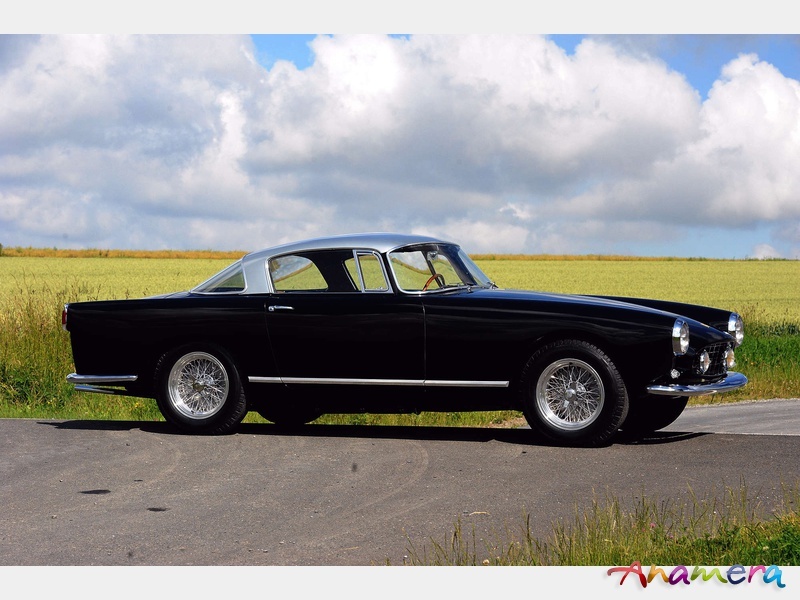 The Boano has been used frequently by its new owner while it shared its nice home beside a 250 GT/L Lusso and a 250 GT Pininfarina Cabriolet and as well an early 195 Ghia. 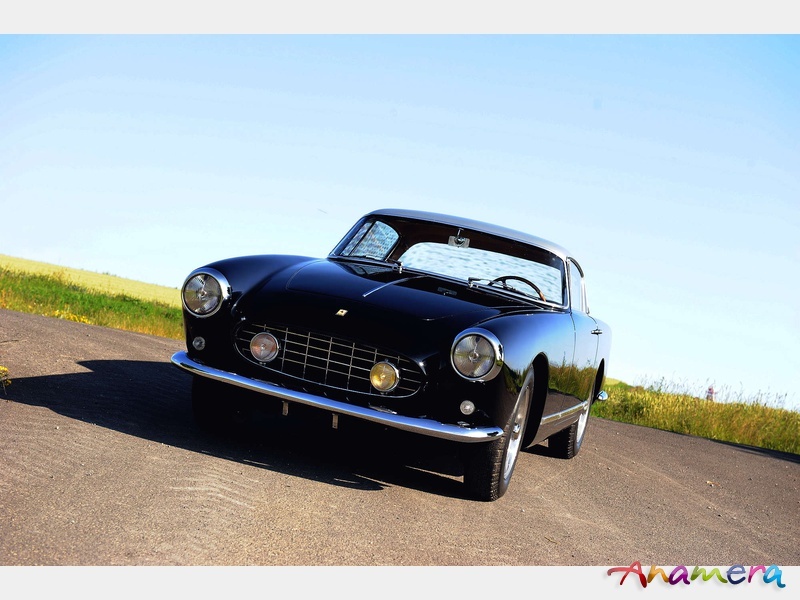 It might be very interesting for the concerned enthusiast to step into the history of the Ferrari 250 GT Boano. 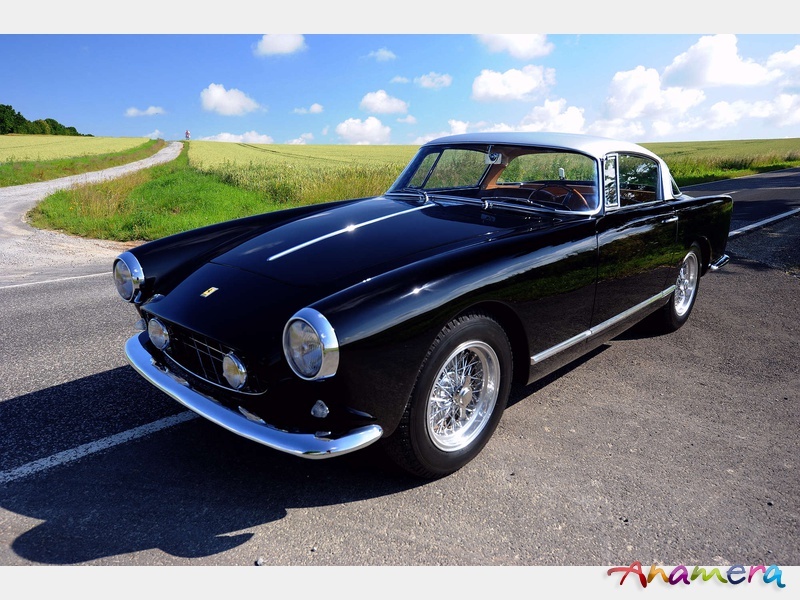 The factory of Mario Boano has only produced very few 250 GT which has been designed by Pininfarina. 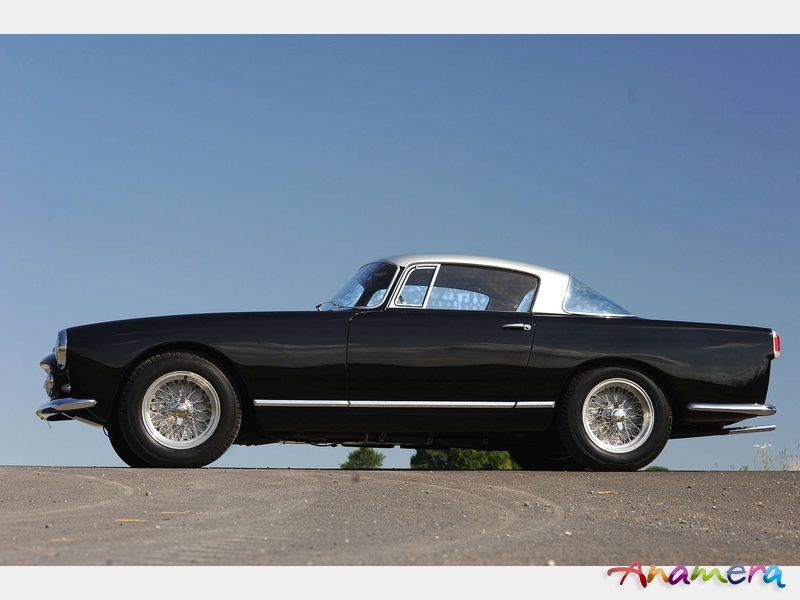 We have only a very limited number of just 67 cars carrying this pretty body. We have to devide this number into approximately 21 cars which has been produced in alloy and 46 cars which received their steel body. 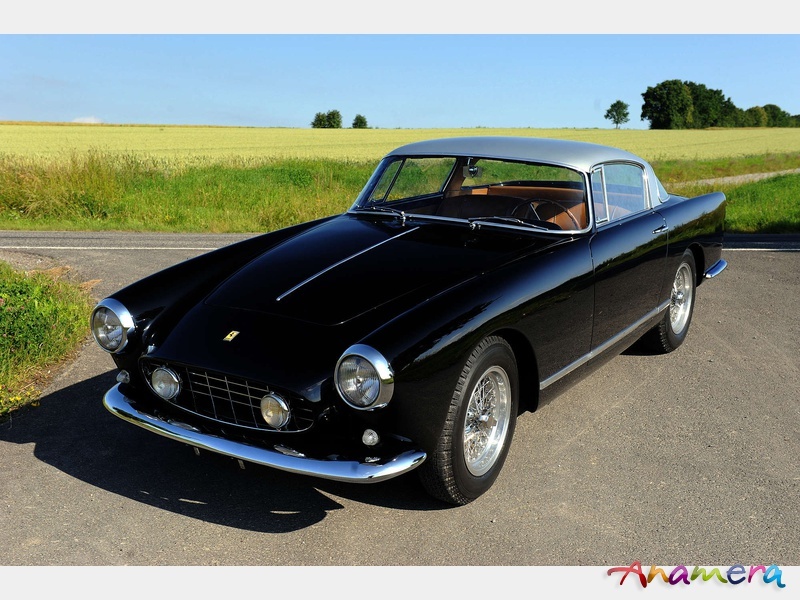 The latest research brought to light that only 38 Ferrari 250 GT Boano are still in existence. So we can assure that the Boano are one of the rarest models out of the fifties especially when they carry their aluminum skins. 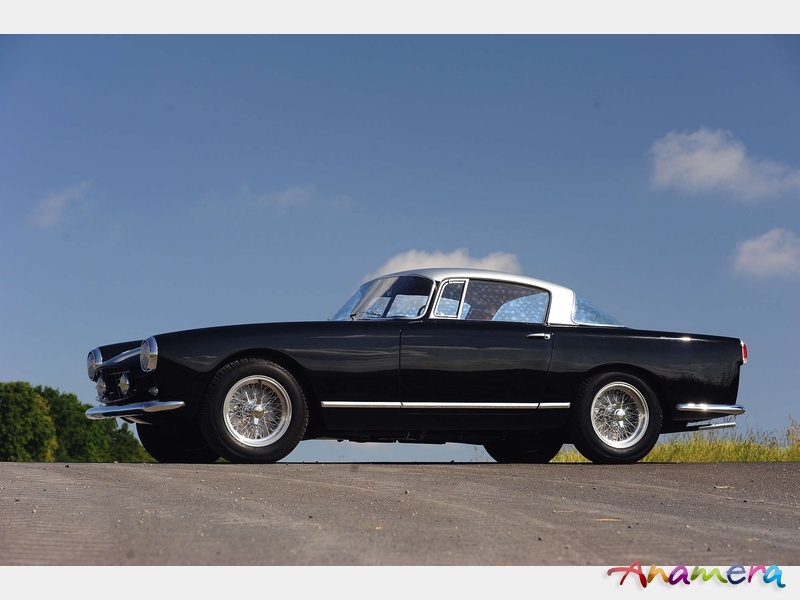 One of the most interesting aspects which makes the Boano desirable is the fact that they have been built up with the same technical components as the famous Ferrari 250 GT Tour de France and the Ferrari 250 GT California Spider LWB. 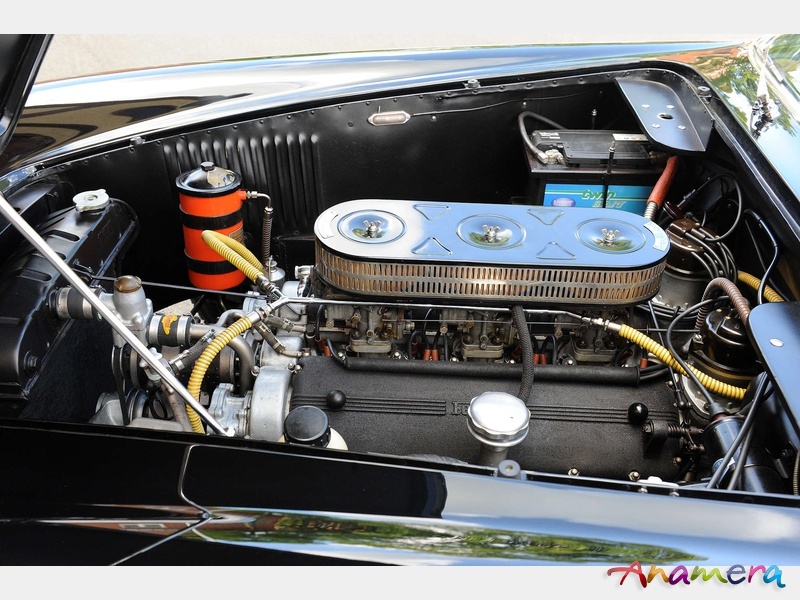 The Boano GT's have the same frame called Tipo 508 and the original Colombo series V12 inside plug engine Tipo 128 B. They have the same suspension and as well the same drum brakes. 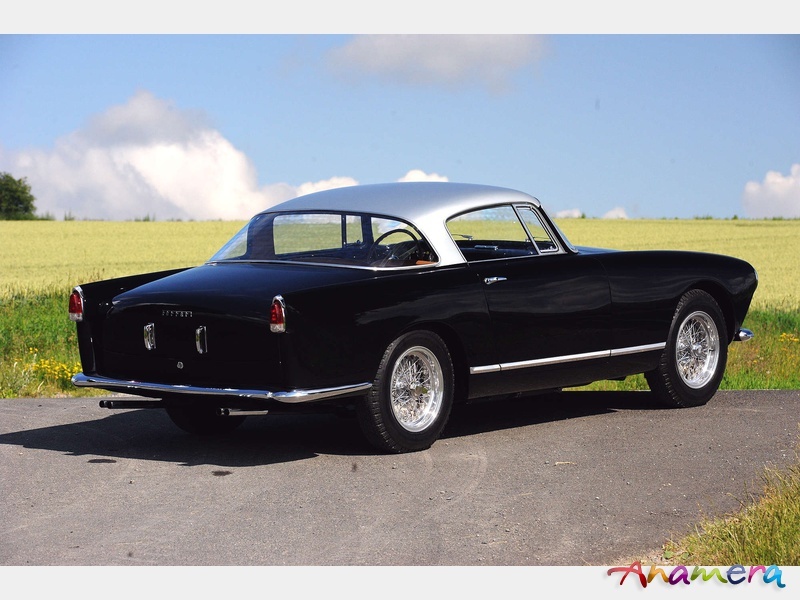 And the examples carrying the aluminum body have the same weight as the alloy bodied 250 GT Tour de France. 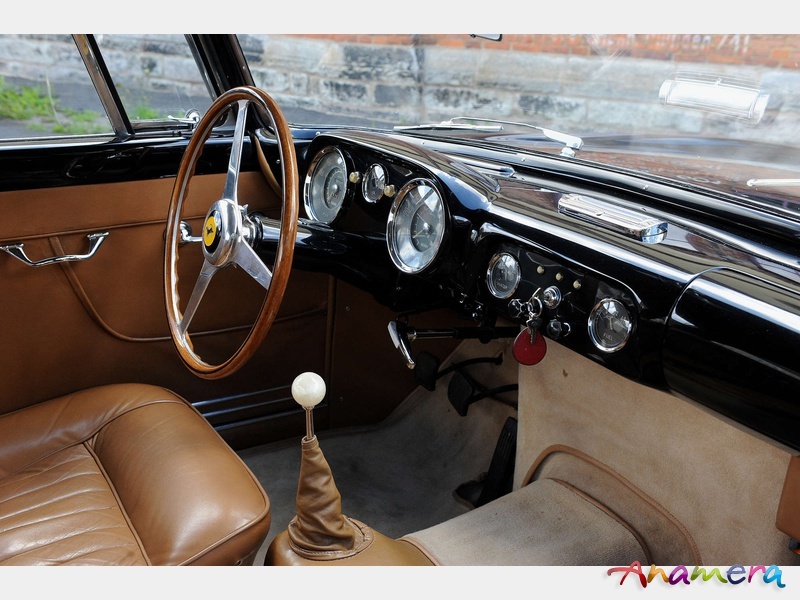 Some of the Boano have quite an interesting race history and have been used in the Mille Miglia 1956 and as well in 1957.
the interior and especially the dashboard looks like new. 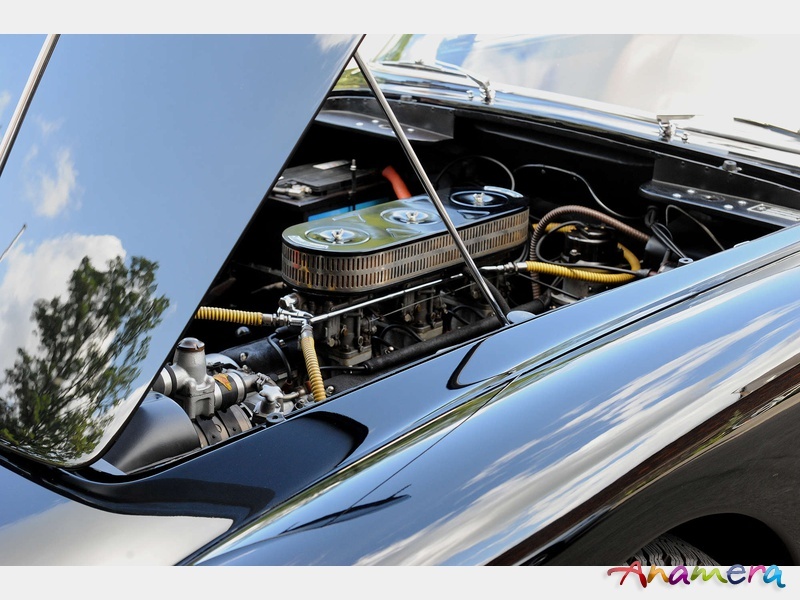 And the engine compartment looks after all this years as well flawlessly. 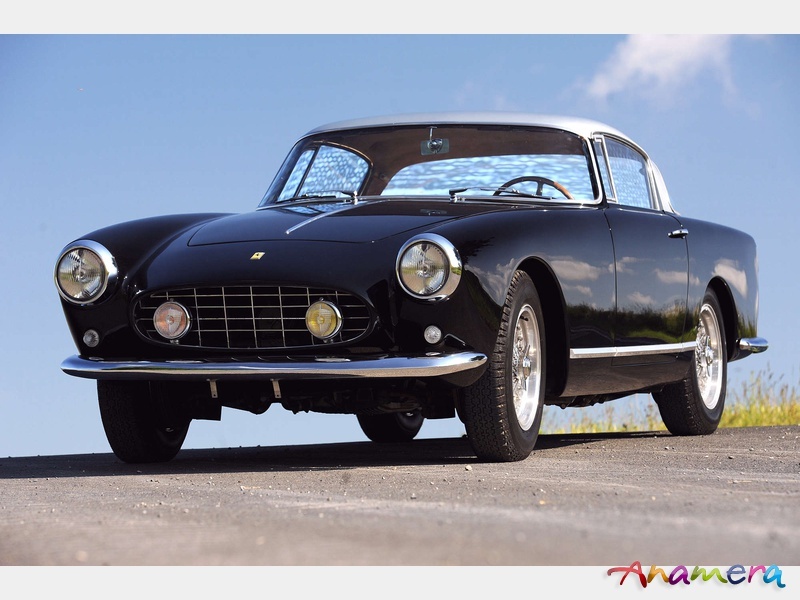 It is a very nice opportunity to step into a real thoroughbred out of the fifties built up at the Ferrari works with the same technical components of the famous Tour de France or California Spider. 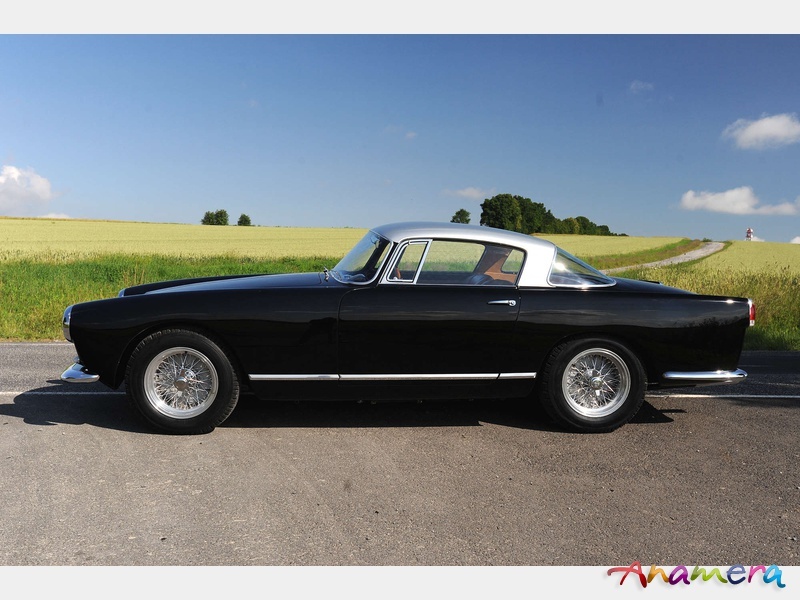 It is eligible for all the major events and especially the Mille Miglia.